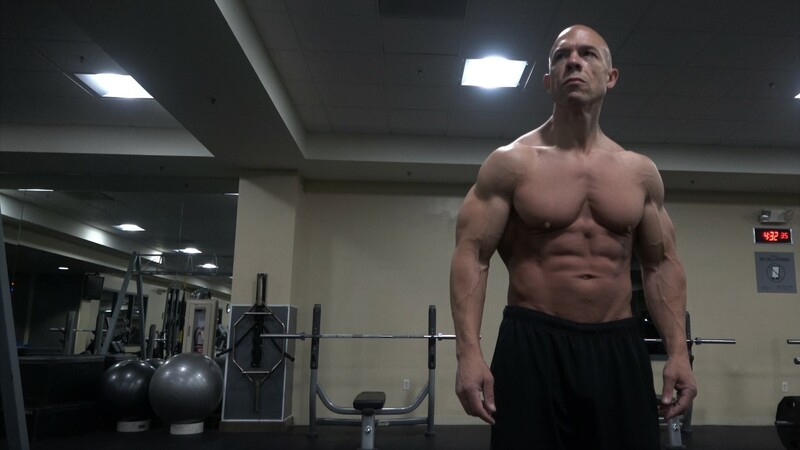 I would never have thought I could look this great at 56 years old while putting so little importance on things I believed were mandatory to becoming an awesome, competitive bodybuilder. Wake up 2 am – About 1 hour of moderate cardio. Writing, planning, setting goals, writing video scripts, podcasts, scripts, and blog posts. And spending too much time on social media. About 3:45 am – Train/Shoot videos; get back home to start my workday at about 5:30 am. ✔️ I drink no more than a 1/3 of a gallon of water every day. Need Help Putting Together A Diet That Works With Your Busy, Productive Life? If you are like most of the men who I’ve shared this with, my insight gave you some instant clarity. It puts a lot of the pieces you’ve been missing together, doesn’t it? I want to help you get a complete level of understanding that will help you get more out of your efforts now–and make your fitness journey much easier for the rest of your life. I’ve talked with a lot of men who are a little older now. Most of these men are really focused on their workouts, physical appearance, and overall health. They are totally committed and willing to do whatever it takes to succeed. One thing that I’ve noticed is just how CLOSE they are to finally figuring out how to train, eat, gain the muscle, and lose the damn fat! They’re this close to what I call “cracking the code”! But they’re just a little off in their thinking. It’s not a matter of effort. It’s not a matter of desire. They just need to tweak their thing a little. There’s just three or four things they don’t quite understand. These three or four things they don’t understand are throwing EVERYTHING OFF. They’re causing way too much confusion, frustration, and overwhelm. It’s a shame. There’s too much hard work and good intentions going to waste with these guys. They’re just wasting too much of their willpower, focus, energy, and time. If this sounds like you, I want to help you finally break through. I have a new, powerful 4-week phone coaching program. Every week for four straight weeks, we’ll meet on my special conference line and I’ll coach you privately. That’s right. Just you and me. Every phone coaching session is recorded so you’ll continue to learn from each one. You’ll fill out the questionnaire down below before we even begin our 4-week journey. That way, I’ll know everything about you and you’ll get even more clear on exactly what it is you want. Before every one of our four coaching sessions (at least one hour before), you’ll fill out this form. This will get you clear, focused, and outcome-driven. This will help me be prepared to give you everything you want–and everything you need during our coaching session. Actually, you’ll get even a lot more. After every session (the day after our session when what we discussed settles in), you’ll fill out this form. This will help you reflect back, get even more from our session, and help me plan the next steps. Again, all four coaching sessions are recorded and you’ll learn even more from the audio recordings every time you listen to them in the future. As you can see, my 4-week coaching system is a lot more structured and planned out than just two men talking about training and eating strategies on the phone. You’ll end your confusion, frustration, and overwhelm with my over 30 years of experience. You’ll move forward with the confidence you need to succeed. And, you’ll have the insight and knowledge you need to succeed FOR THE REST OF YOUR LIFE. I usually take my guys on 12-week coaching journeys but I’ve found that many can get the information they need to move forward in four weeks. And, it’s more affordable than 12 weeks too. If you’re interested, fill out the questionnaire down below FIRST. Submit that to me right away. Then, let’s talk on the phone for a few minutes. We’ll see if it’s a good fit first. There’s no obligation on your part to enroll in this powerful 4-week coaching program if you just want to talk to me and learn more. I’ll only take you on if I feel you are ready. The last thing I want is for you to try and fail. I only have a few spots right now so hurry and contact me. Fill out the questionnaire below. Submit it to me right away. Then, call me now at (925)954-8653. I look forward to talking with you and going on this journey with you. Did you take your time and fill out the questionnaire thoroughly? I award those men who do with even more special attention.